You know the problem when you buy a new bike or a new component and it doesn´t fit with rest of your favourite components. We have a solution for you. Simple reductions for all common sizes. For upgrade of handlebars with main clamp diameter 25,4mm up to the size 28,6mm (e.g. Tioga, Brave) or 31,8mm (e.g. Ritchey, FSA, Truvativ, etc.) or for BMX style handlebars with main clamp diameter 22,2mm up to the size 25,4mm or 31,8mm. 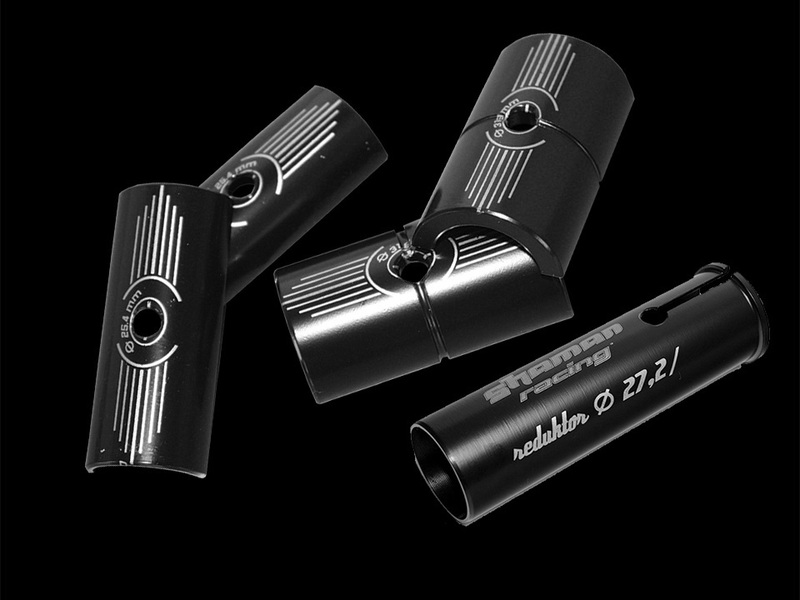 Works in combination with any seatpost with outer diameter 27,2mm. Accepts karbon fiber seatposts.